The Kivistik Clematis Collection Pride of Place Plants Inc. 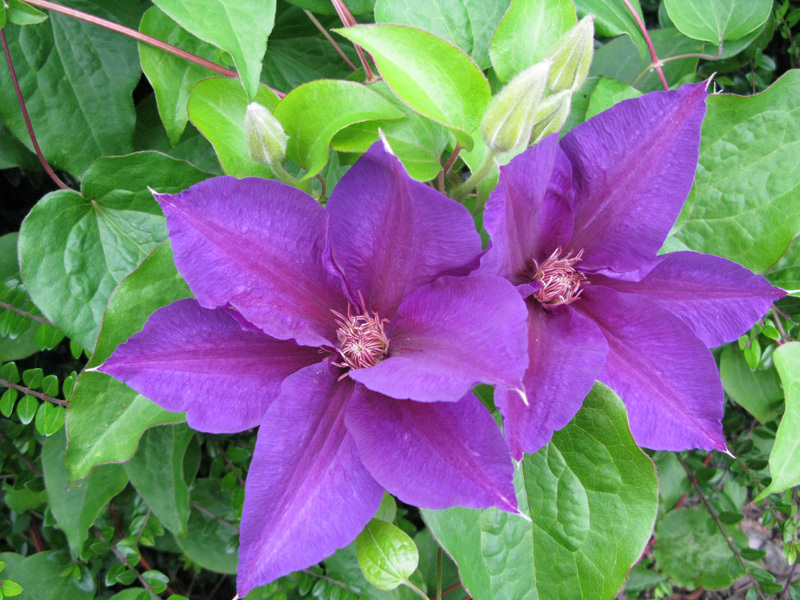 The "Kivistik Clematis Collection" of Clematis from Estonia. 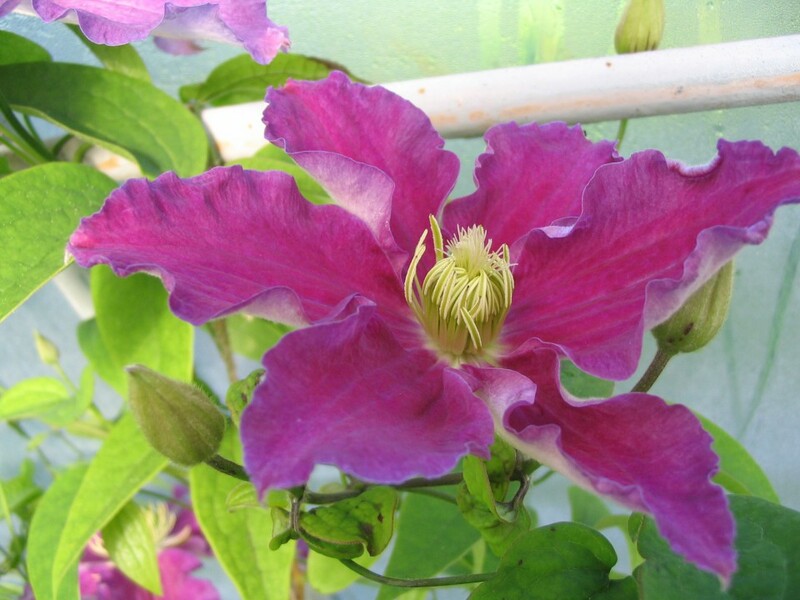 The Kivistik Clematis Collection™ Finally, an amazing clematis collection for consistent gardening success!! 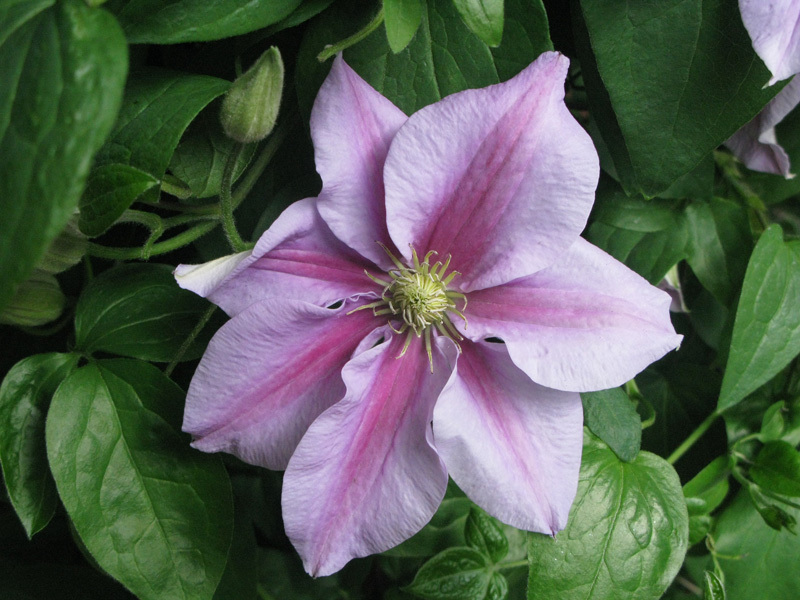 Pride of Place Plants Inc., is proud to represent the fine breeding work of Uno and Aili Kivistik and their Clematis cultivars. The Roogoja Farm, of the Kivistik family, is located in Karla village, Kose parrish, Harjumaa county of Estonia. More than 100 years old, the farm is 43 hectars in size and is situated at the banks of the river Kuivajoe. 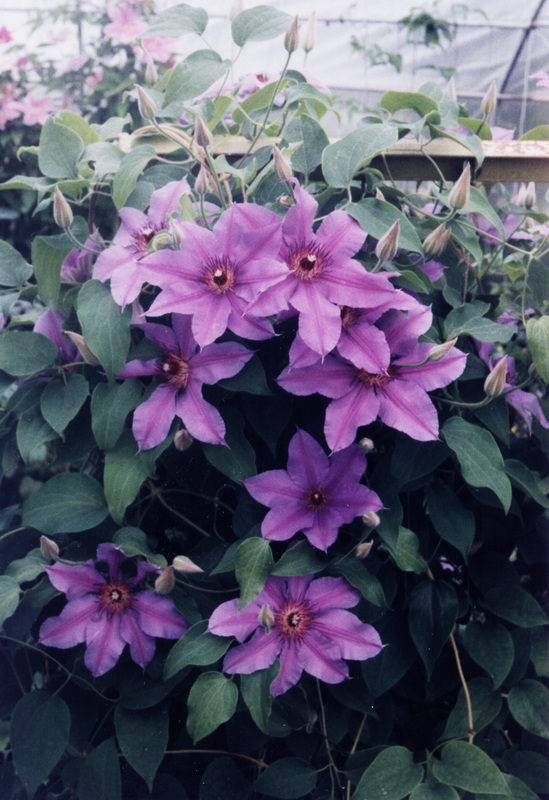 Roogoja Farm is recognized as the northernmost breeding nursery for Clematis Cultivars, located on the 58th parallel. The farm is continued by Aili, son Taavi and his wife Aime (Uno Kivistik passed in 1998). 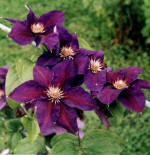 These cultivars have rarely been seen in North America but their contribution to Horticulture deserves full recognition. 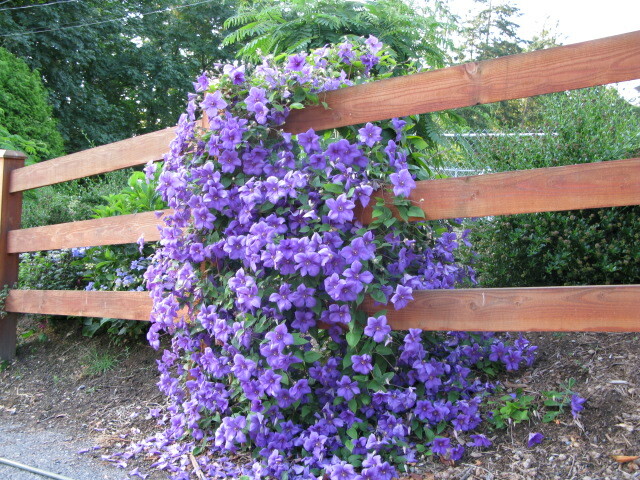 *Annual numerous rich blossoms that develop on the current season’s growth lasting throughout the Spring and Summer months. *The Clematis cultivars needed to be able to be pruned low (to 15 cm) so they could endure the cold winter temperatures offered in Estonia, and still returning year after year. And they do! *As an added bonus, the criteria met the growers and gardeners needs in the current trends of patio and container plants and small gardens. 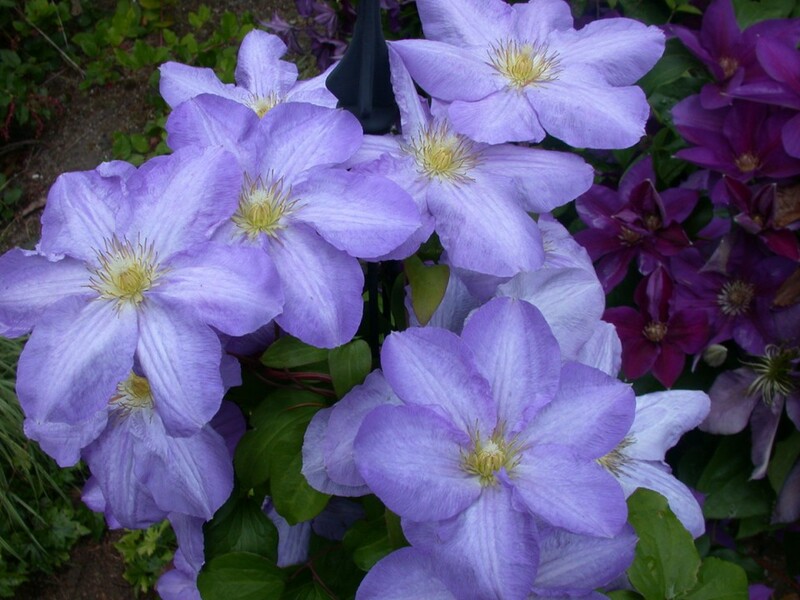 After testing extensively in our test gardens of Pride of Place Plants Inc., at Victoria British Columbia, Canada, we are hooked and you will be too! 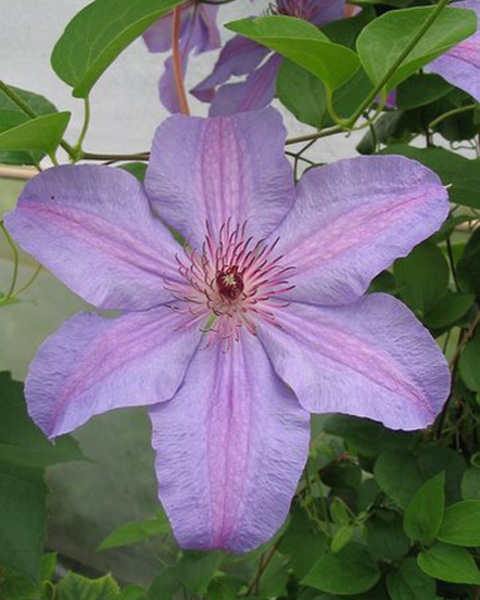 Clematis hybrid Silmakavi pp#22921,copf Silmakavi” has such pretty large Wisteria blue colored flowers with a bar that is a lighter blue, then offset with pale yellow anthers on creamy white filaments. 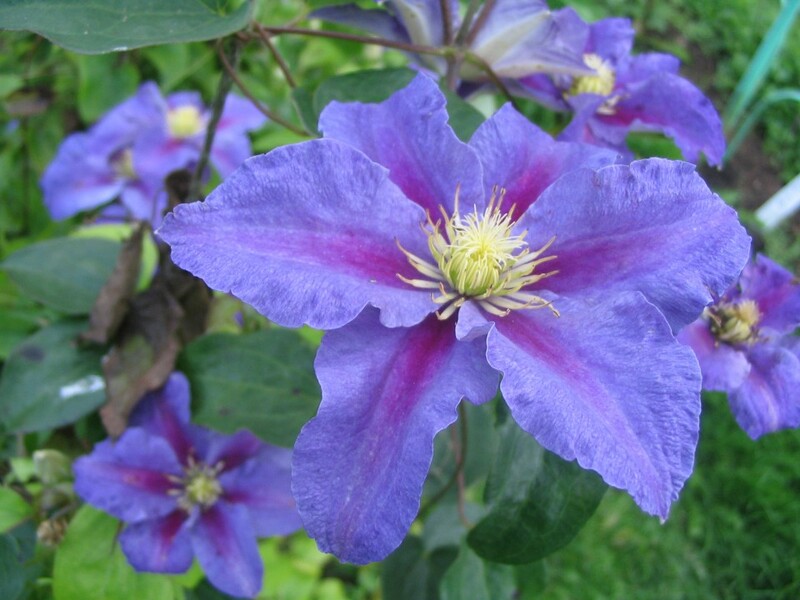 Clematis hybrid Minister pp#22921,copf “Minister” displays large violet blue double or semi double flowers in spring and single blooms later. 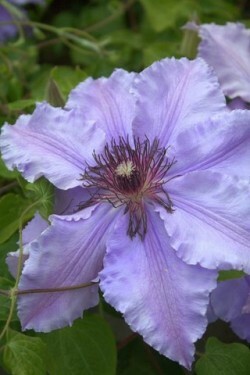 Shown off with creamy colored filaments tipped and with reddish-purple anthers. 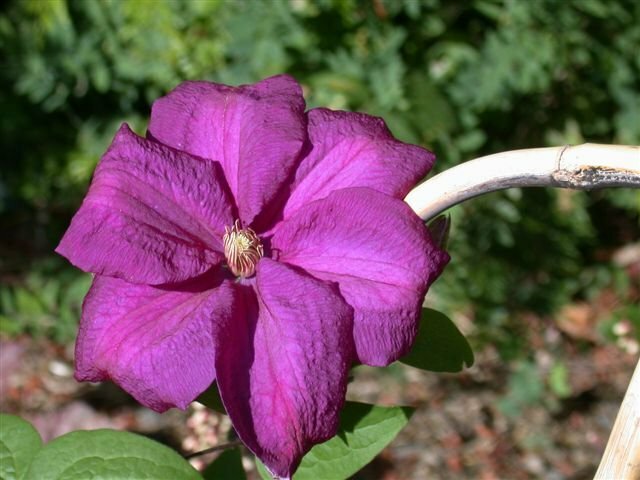 The flowers 6 tepals have a slightly infused darker violet bar and are elliptic pointed to 10 cm length! Upon opening, an impressive cobalt violet, with dianthus purple bar and chartreuse yellow stamens appears, then nicely fading to a pleasing soft pinkish violet color. Amazingly, the flowers bloom continuously and very prolifically from late spring to late summer giving an abundance of pleasure. The stunning large flowers of “Reiman” have such a gorgeous beetroot purple color, accented with maroon red bar and cream colored stamens with maroon anthers. An amazing amount of blooms, continuously and very prolifically from late spring to late summer. 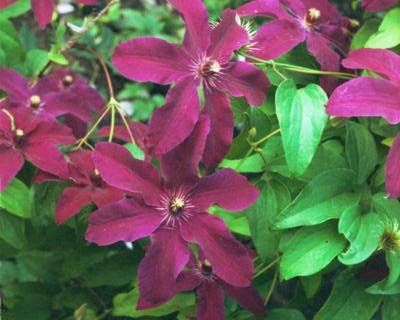 Clematis hybrid Ruutel pp#22679,copf A ruby red, large flowering, compact growing Clematis, simply an outstanding! The masses of flowers bloom continuously and very prolifically from late spring to late summer. 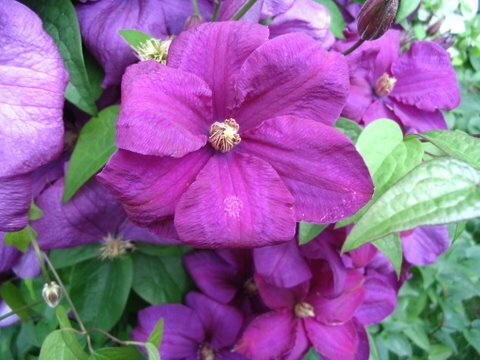 Clematis hybrid jackmanii Ristimagi pp#22922,copf Ristimagi is really an outstanding performer, having showy violet blue tepals with a red-purple central bar and cream center. It is truly spectacular what the Kivistik’s have bred here, this is certainly one of our favorites! The flowers bloom continuously and very prolifically from late spring to late summer. Roseville Farms 3251 Ponkan Pines Road, Apopka, FL., U.S.A. 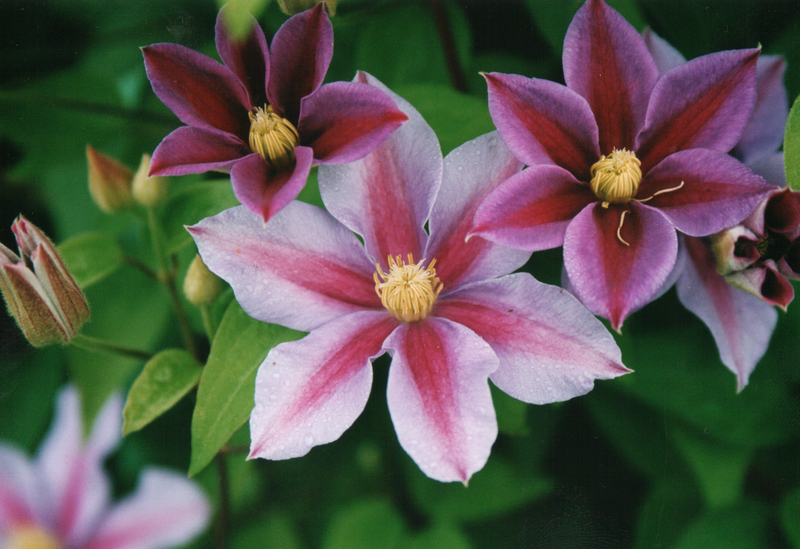 Ask your local Garden Center to contact Roseville Farms for a supply of cultivars from "The Kivistik Collection"